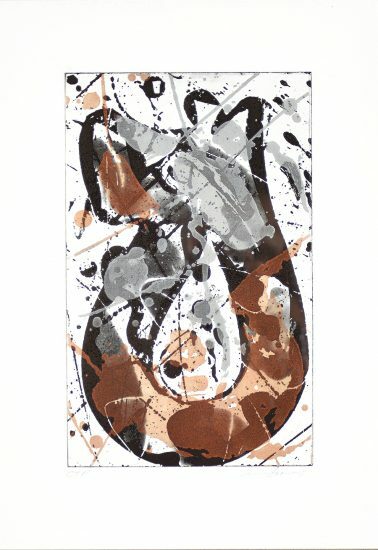 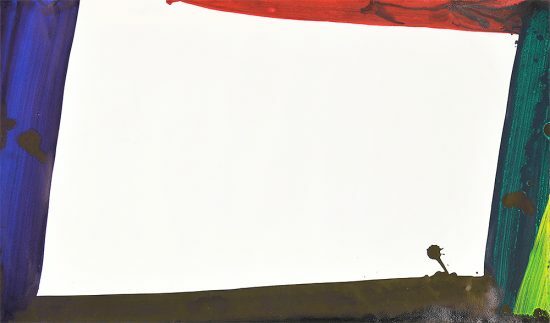 First to stand out in this Sam Francis unique Monotype Untitled, 1982 is the reddish-iron color that makes up the central compositional element of the monotype. 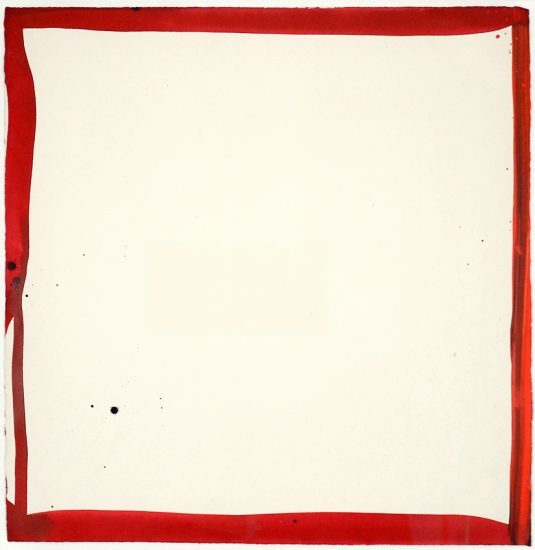 Contrasted against the creamy white paper, the warm red color of the woodcut pops out. 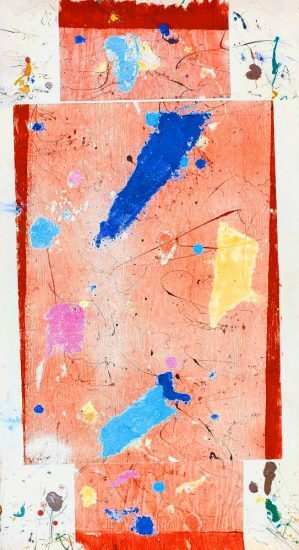 Layered atop the red textured woodcut are swatches of blues, pinks, and yellows. 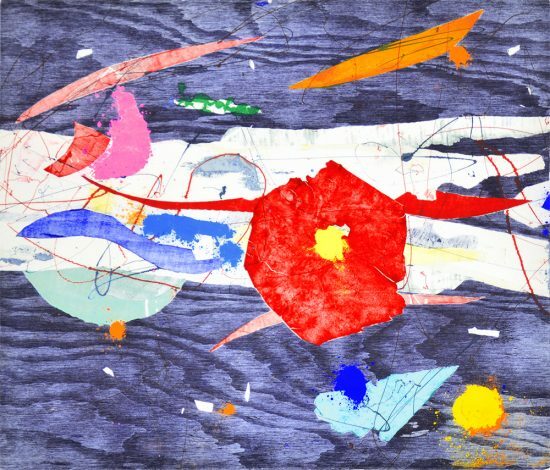 They swipe across the monotype like bandages. 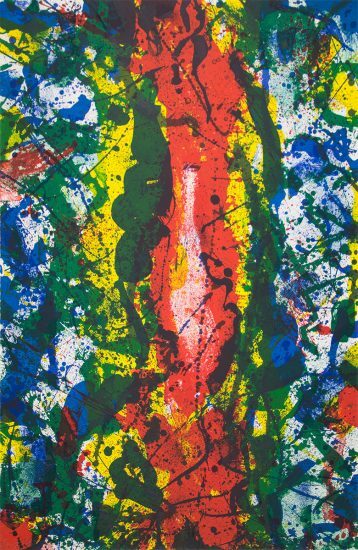 Finally, stop these bands of color are swift flicks of paint that stripe and weave across the work in greens, teals, and reds. 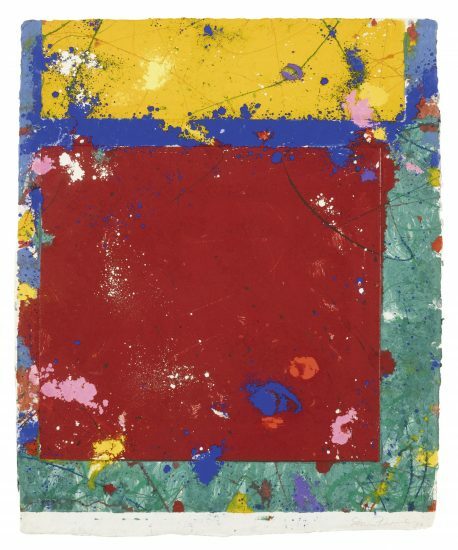 The directionality of the work confounds: the red woodcut brings the eyes horizontally from side to side, until we reach the most primary blue swatches which move the eyes in a more diagonal direction. 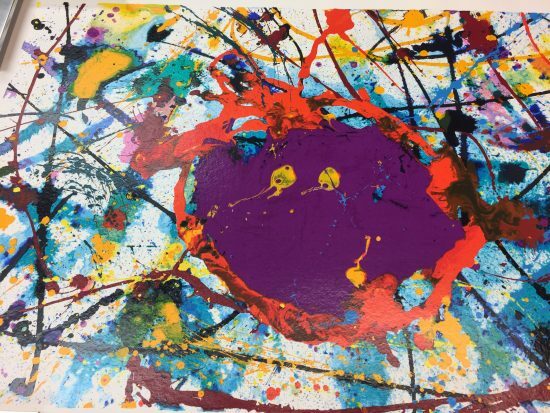 The smaller paint swishes allow the eyes to dance across the canvas. 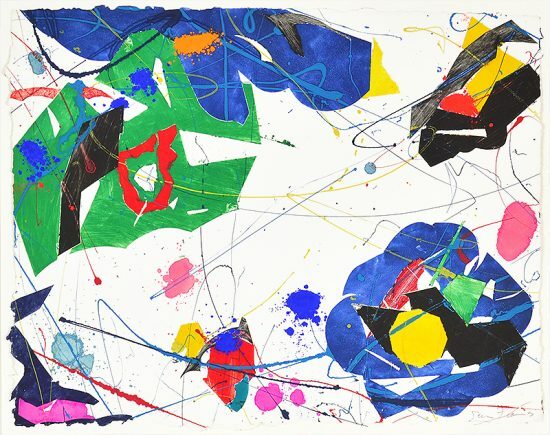 Francis has created a wonderfully dynamic work that allows the viewer to traverse the monotype with their eyes. 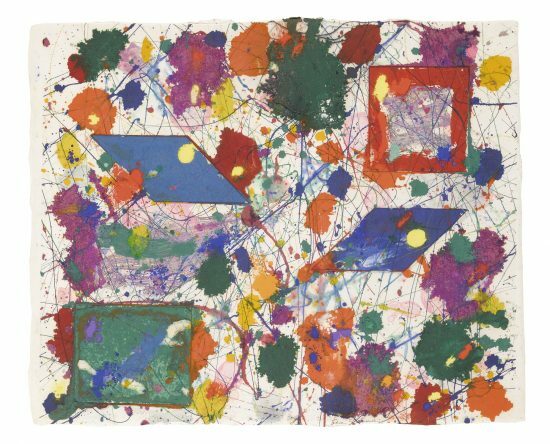 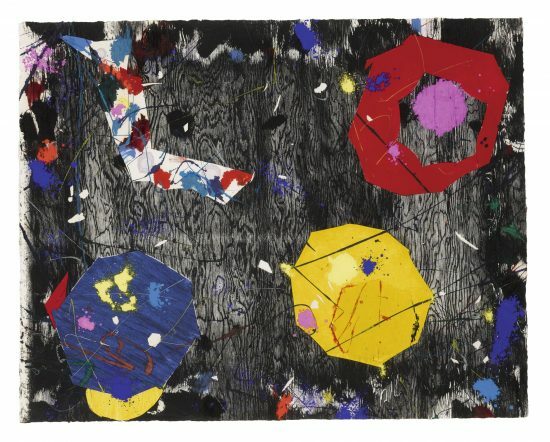 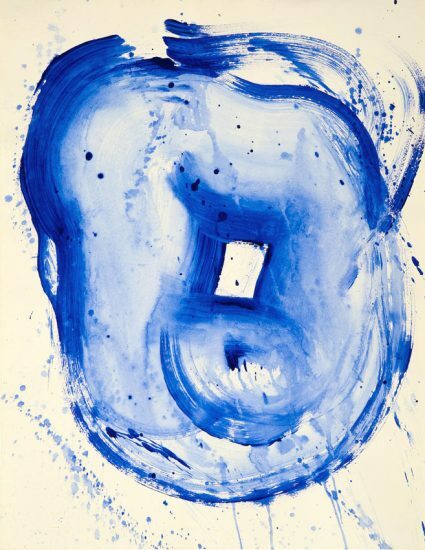 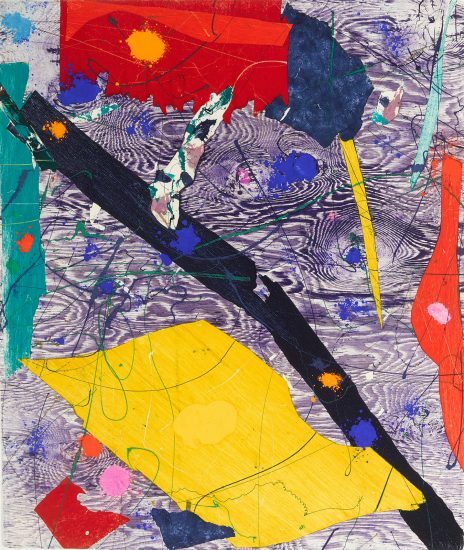 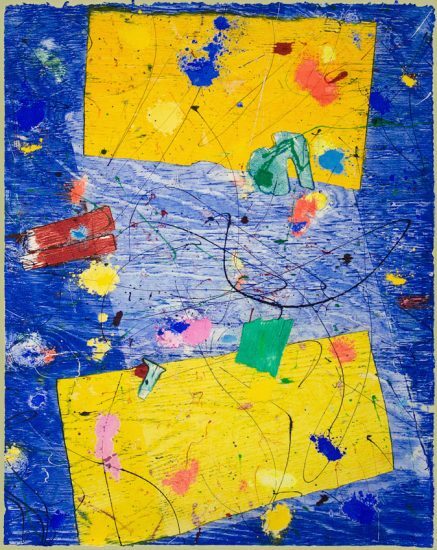 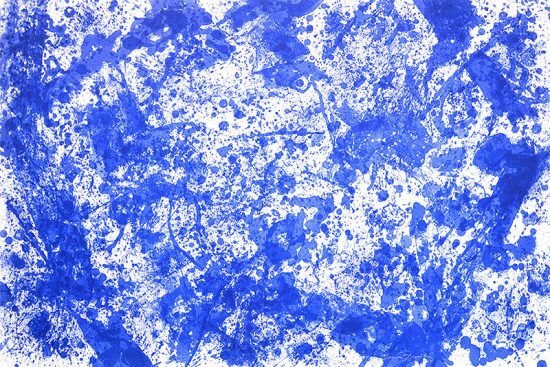 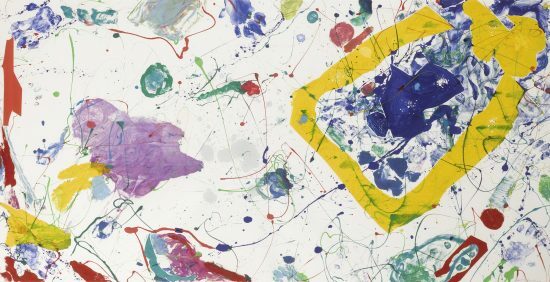 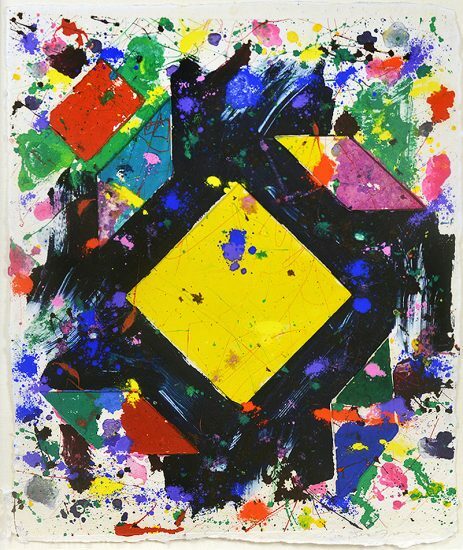 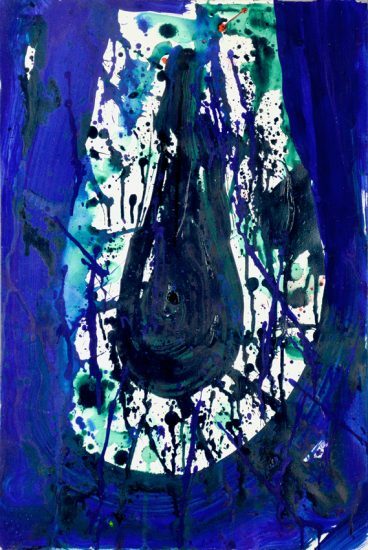 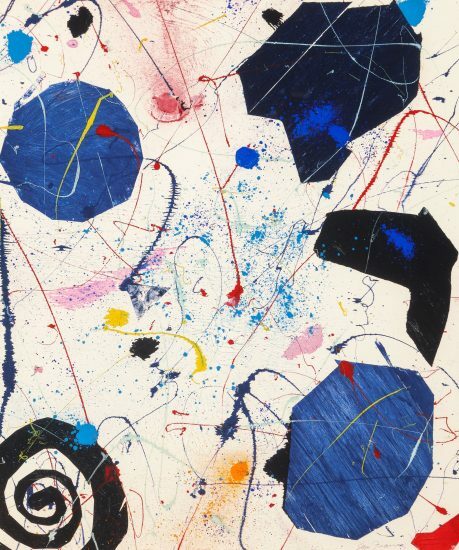 Sam Francis Monotype Untitled, 1982 is amazingly rendered and full of poignant rich colors. 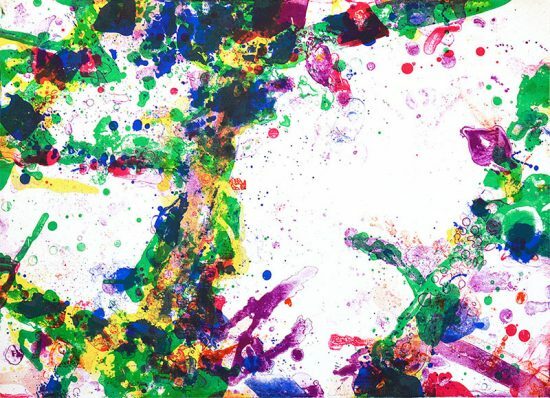 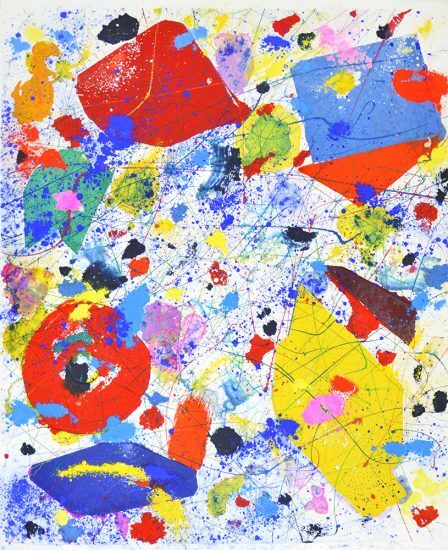 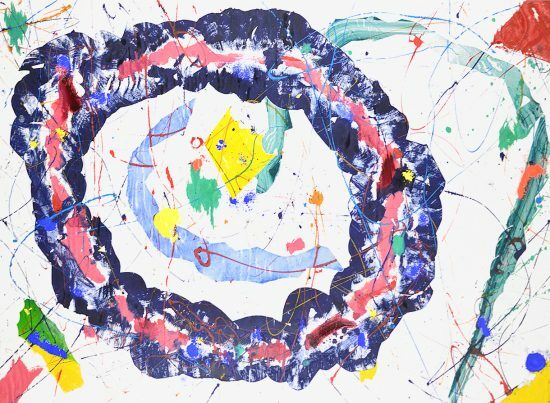 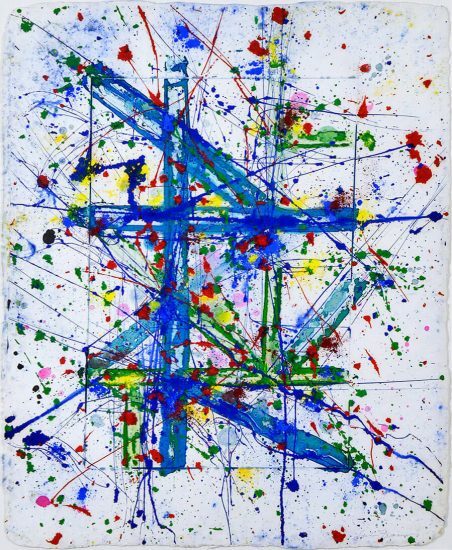 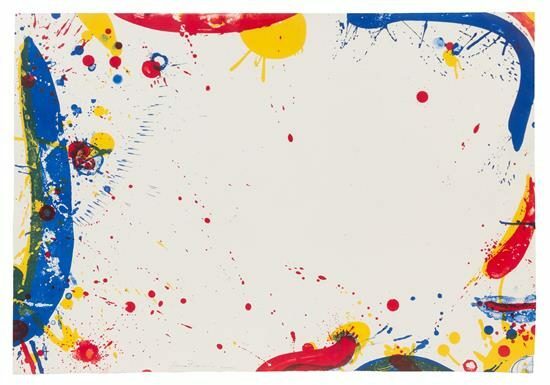 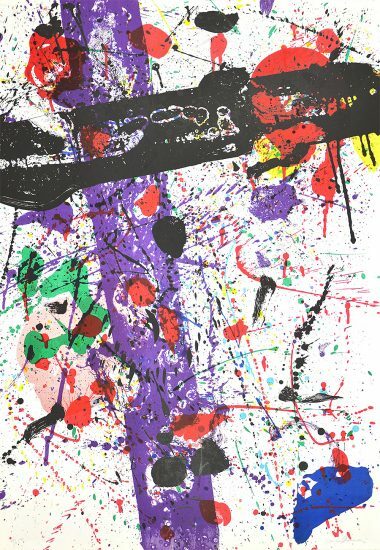 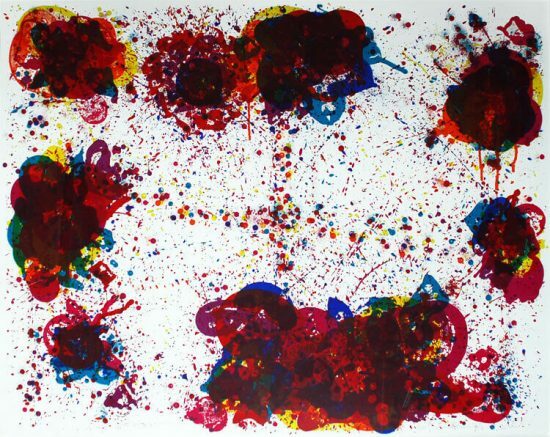 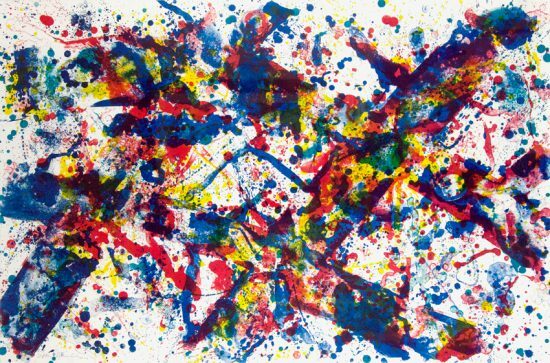 This piece is vibrant and stretches out across the sheet with splatters of joyous colors. 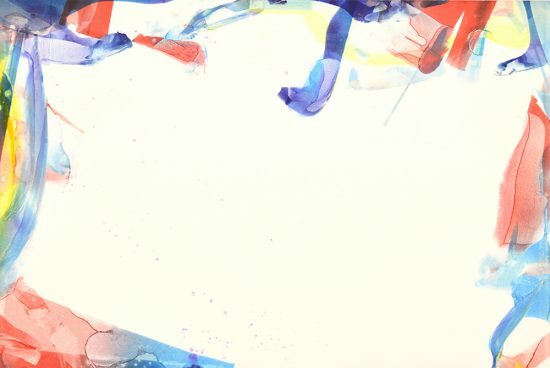 Mesmerizing is its colors where deep embossments are seen engraving the smooth edges of shapes. 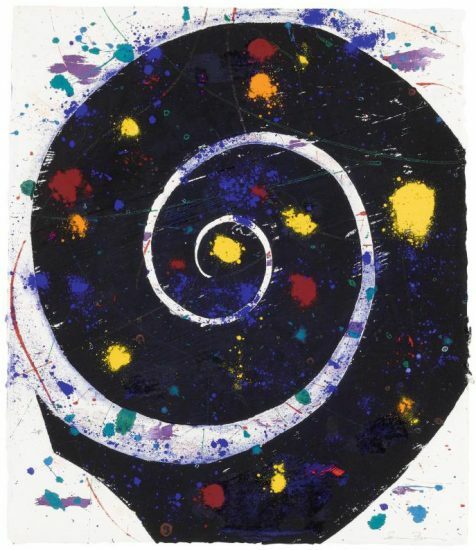 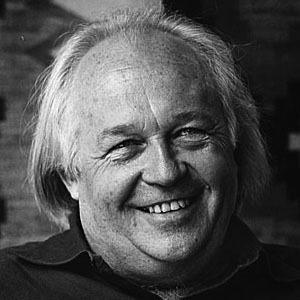 Francis here was concerned with large organic shapes: oblong circles and undulating arcs. 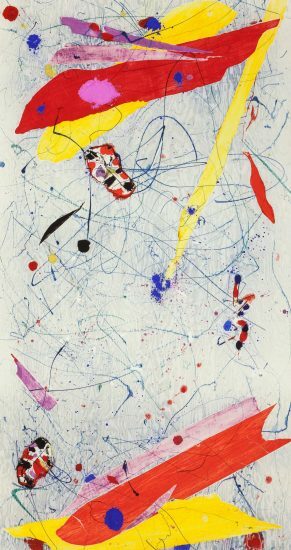 These aesthetic elements are arranged varyingly, in such a way where they feel composed yet random.